For good health, try Oxryich supplements, which help improve the body’s Oxygen levels. Oxyrich supplements boost Oxygen in the body while aiding the body to maintain healthy levels of essential vitamins and minerals. Oxygen is one of the human body’s most vital elements and it’s vital to keep your Oxygen supplement levels healthy. Supplements such as Oxyrich can help revitalise the Oxygen to your body. 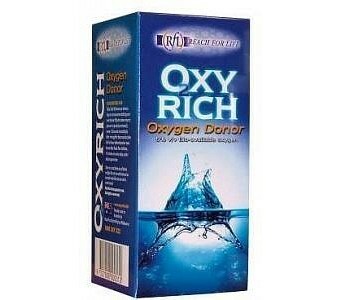 Oxryich is the product of a refined process of stabilising Oxygen , first developed by NASA in the 1980s. Reach For Life can now offer supplements that provide a powerful Oxygen boost. Oxygen is a highly critical component of the human body. 90% of of our body's life energy is created by Oxygen supplements. Inadequate Oxygen means insufficient biological resources which can result in ailments ranging from mild fatigue to life threatening diseases. Oxyrich, from Reach for Life , provides a highly efficient solution to one of our most perplexing problems: How to provide our bodies with more Oxygen thus allowing our bodies to more effectively oxidize and metabolize life and health giving nutrients.